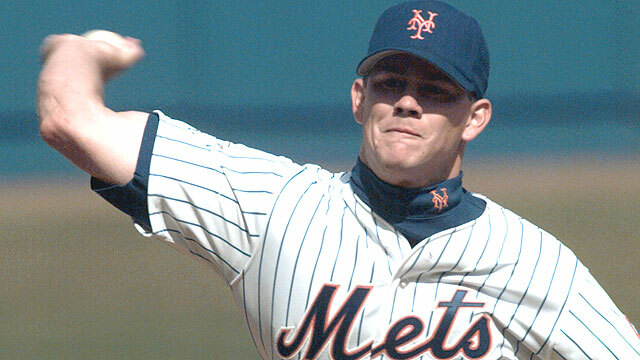 Jason Derik Isringhausen -“Izzy” was born September 7, 1972 in Brighton, Illinois. 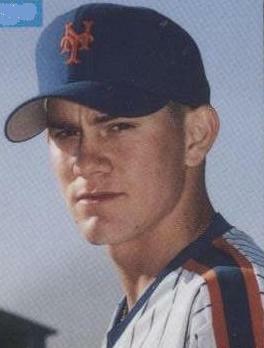 He was drafted by the New York Mets in the 44th round of the 1991 draft. In the minors he pitched well and by the time he got to the AAA Norfolk Tides he was the Pitcher of the Year in the International League going 9-1 with a .155 ERA. 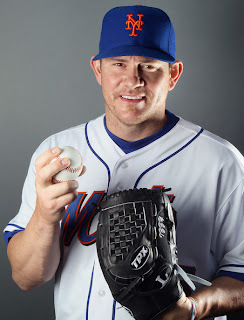 He struck out 75 batters in 87 innings and got the label of “the Mets pitcher of the future”. He was brought up in July 1995 making his big league debut against the Chicago Cubs at Wrigley Field. He went seven innings allowing only two runs and striking out six Cubs but getting no decision. He got his first career win at Shea Stadium two starts later going 8 innings only allowing a run against the Pittsburgh Pirates. From August 20th on through the end of the season he was 7-0 allowing 13 earned runs in 45 innings lowering his ERA on the season to 2.81. In four of his last six starts he went at least seven innings allowing more than two runs just once. He ended the year at 9-2 with 55 strike outs in 88 innings pitched. 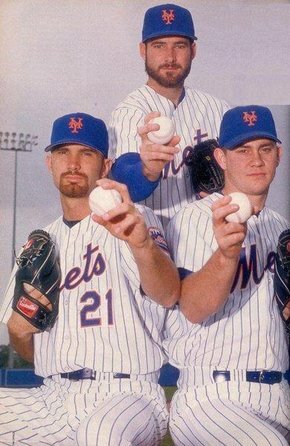 Along with pitchers Paul Wilson & Bill Pulsipher they were called “Generation K” and suppose to be the Mets future. That never worked out. In 1996 Izzy suffered a bout with tuberculosis, then had arm trouble, a torn labrum, bone spurs & a pulled a rib cage muscle. After a 2-2 start he lost five straight decisions in the month of May. With all his injuries he only pitched in five games during the final two months of the season. He went 6-14 with a 4.71 ERA, giving more than five runs in 10 of his 27 starts. He started out in AAA Norfolk again in 1997 and in the first inning of a game against the Toledo Mud Hens he gave up a triple & a HR. He went into the dugout and punched a plastic garbage can, breaking his wrist. He was out for the next few months, returning to the Mets on August 27th. He went 2-2 in only six starts with a 7.58 ERA on the season. As his personal dramas continued he needed elbow surgery and missed all of 1998. By 1999 he was 1-3 with an ERA of 6.41 & by the end of July, he was sent to the Oakland A’s along with Greg McMichael for Billy Taylor. Taylor would go 0-1 with an ERA over eight in ten games for the 1998 Mets. The next season Oakland made him a closer and it finally came together for Izzy. He saved over 30 games two straight seasons and made the 2000 All Star team. In 2000 he was 6-4 with a 3.78 ERA posting 33 saves in 67 appearances as the A’s won the Western division. In the ALDS he earned a save in Game #1. The following season he was 4-3 with 34 saves (6th in the AL0 posting a 2.65 ERA & got to another post season. In that years ALDS he earned two saves. As a free agent in the off season he signed a big contract with the St. Louis Cardinals for 2002. There he saved 32 games in 2002 & 22 games in 2003. In 2004 he led the NL with 47 saves & games finished with 66. He was 4-2 with a 2.87 ERA as the Cardinals went to the World Series. In the NLCS he saved three games and took a loss against the Houston Astros in Game #5 as Jeff Kent hit a walk off HR. Izzy would save over 30 games for the next three season posting ERA’s under three twice. After going 1-5 with 12 saves in 2008 he wasn’t resigned and moved on to the Tampa Rays for the 2009 season. He only appeared in nine games before needing Tommy John surgery which ended his season. 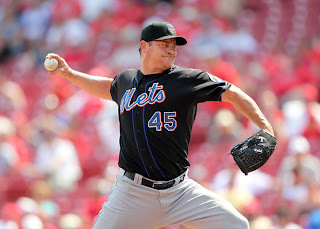 He signed a minor league deal with the Cincinnati Reds in July 2010 but did not pitch at the big league level. 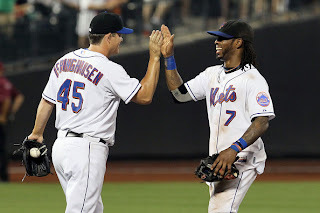 In February 2011 he signed a deal back with his old New York Mets ballclub. Izzy made his Mets return at Citi Field on April 11th, 2011 pitching the 7th inning against the Colorado Rockies. Through May 20th he was credited with 11 straight holds out of the bull pen before blowing a save a week later. 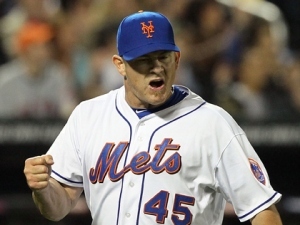 On June 2nd he earned his first win of the season & his first Mets win in 13 years. 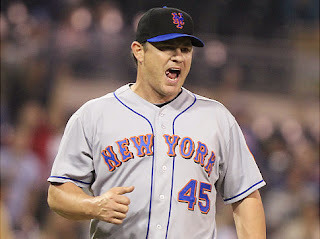 By mid July the Mets parted ways with their closer Frankie Rodriquez and Izzy inherited the role. He saved five games & earned a victory in the final two weeks of the month. He then took a loss & blew a save to start out August, earning his 299th career save on August 9th against the San Diego Padres. On August 15th, at San Diego he earned his 300th career save becoming the 22nd pitcher to enter the 300 save club. It would be the last save of his career as well. He finished the year at 3-2 with six saves & a 4.05 ERA in 53 appearances. In 2012 he was granted free agency & signed with the L.A. Angels. There he had a good first half, going 3-0 with four holds & a 2.83 ERA through July. In August he blew a save & took two other loses, then didn't see much time in September. He made fifty appearances posting a 4.14 ERA going 3-2 for the year. Izzy retired at the end of the year. In his 16 year career he appeared in 724 games (77th all time) going 51-55 with 300 saves (23rd all time). He struck out 830 batters & walked 437 in 1007 innings. Retirement: After his pitching days, he has been a coach at Southern Illinois University Edwardsville. I'm glad to see he got #300 in a Mets uniform, where he started out.